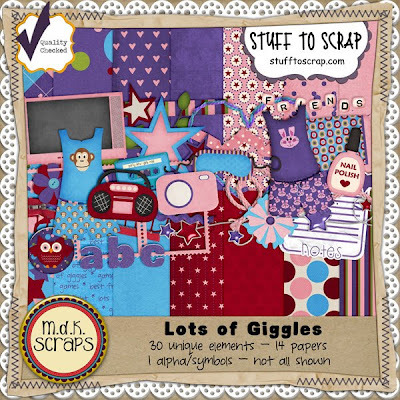 Another great kit I had the pleasure of working with this month is Lots of Giggles from MDK Scraps. So fun and adorable, and PERFECT for those who have little girls. This was originally sold in pieces for the June BAK, but now is one great big kit. Image is linked to product in store. 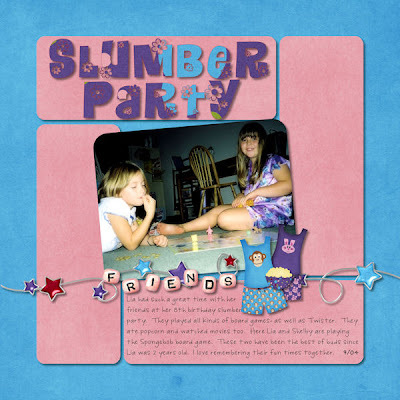 Here's a layout I created for this month's Scraplift challenge at STS. 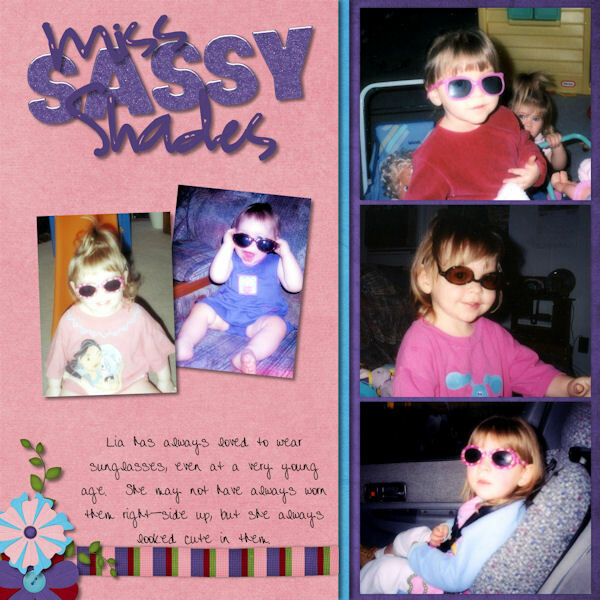 And this next one I created for the Challenge of the Week this week at STS. It was an Ad inspiration challenge.